In a cocktail stirrer, combine the milk or cream, crème de cacao, and crème de menthe. 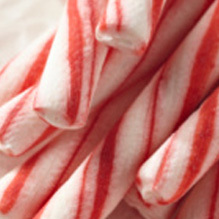 Pour over ice and garnish with the candy cane before serving. I wanted a drink that was festive and easy to make so I wandered around the liquor store and came up with this one. It went over very well.